Google Phone – Underwhelmed so far . 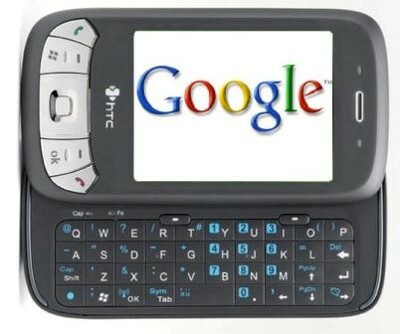 . .
OK, Got the Google Phone. So far I am pretty underwhelmed. The interface, although nice, does not compare to the iPhone’s even first iteration of a GUI. Speed tests have not confirmed and greater speed than the 3G network on iPhone. In fact the phone coverage is worse in the three places I tested so far. Now do not misinterpret this post. This phone is the first version, and I have not used it yet extensively. I have never seen another company come straight out of the box with hardware and an operating system that works as well as this one does despite the fact that they are way behind right now. But Google has A Lot of smart people working hard to EAT this space! I have a strong believe that within several iterations of this OS this will be a killer device. Google gets it. It will become more intuitive, easier to use, the connectivity issues will be solved. Most importantly it will integrate with Google’s immense reservoir of growing applications as we move to an integrated mobile computing world. They get it. And it will happen fast!! If you are Google it is easy to copy the innovators. And they are innovators themselves, so APPLE better watch their backs! Apple’s iPhone utility outsold Research In Motion’s (RIM) BlackBerry for the first time in the third quarter. Worldwide , Apple sold nearly 7 million iPhones in the Quarter period ending September 27. That compares to 6 million smartphones sold by RIM. But RIM is trying to regain inertia with the BlackBerry Storm, its first touchscreen phone. We are only a few weeks away. The Blackberry Bold was seen on election day. RIM is launching its own applications store, copying Apple’s, allowing users to download software designed by developers directly to their phones. The critical fourth quarter appears to be the provocative one. Apple sales have historically and traditionally been very strong in the fourth quarter – its product brand equity is stellar. Corporate budgets are being slashed. Is Blackberry going to falter and stumble to the Apple iPhone from here on? Yes it will! Compelling products win market share. In the end this is a battle RIM cannot win against Apple and the new players that will inevitably enter this obvious market. So all you BB lovers – don’t store up too many crocodile tears because you are going to need a whole lot of tissue paper. iPhone sales (in units) WILL outsell Blackberry’s sales (in units) for Q4’08 worldwide, and then BB will continue to be decimated. Just watch. Start ringing the Church Bells for BB. I hear a fat lady warming up to sing the Blackberry Song . . .